Some people freak out at the thought of goat labor. Truth be told, it is a very gooey process. It's also a bit emotionally challenging to watch your darling does go through the pain of labor. Sometimes things can go wrong during labor too. So, it's really important to be ready to assist in the event of labor complications. Generally though, labor is a natural and orderly event. In most cases, no intervention in the process is necessary. 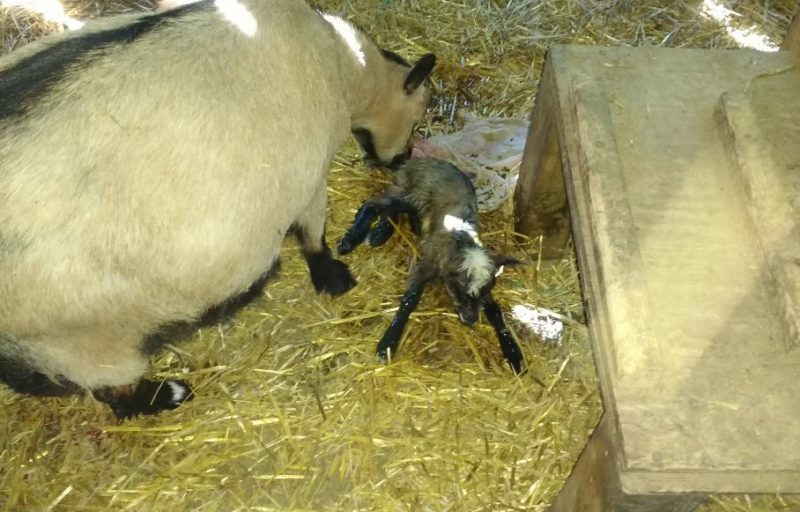 Mostly, we goat keepers just get to witness to the miracle of birth. 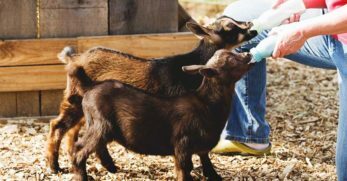 Then, we get to help our does dry off their kids so they can start to do all the adorable things baby goats do – like taking first steps and learning to nurse. Suckling – What is Involved? 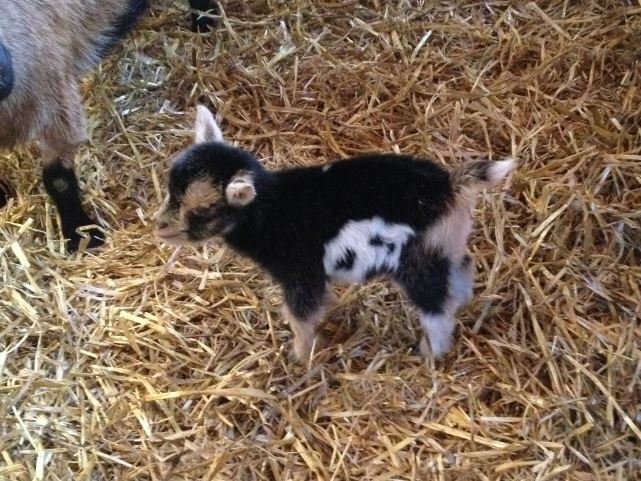 Baby goats are all legs at first. They look a bit like an octopus on roller skates as they try to get their legs underneath their bodies so they can stand up. After a few tries, finally, they get some traction. Once they get the hang of standing up, the next thing they try to do is to nurse. They start headbutting just about everything and attempting to suckle on it. Your fingers, your knees, their siblings' ears, and pretty much anything in their path is viewed as a possible source of milk. I usually let the goat kids get it wrong a few times for amusement before I give them a push up under their mom's udder area. Even when they are in the zone, they tend to try to nurse on mom's belly or leg before they eventually find her teat. After that, the smart and robust kids tend to catch on pretty quick. The next try or two happen much faster. Then by the third time, they go right for the teat and latch on as if their lives depend on it. Probably because they do! They only suckle in small spurts at first. They've been living in a womb, getting direct nutrition from their mom. Now, suddenly their digestive system is activated. But it takes a few hours for it to get going properly. They often look a bit confused and exhausted right after they nurse. Once digestion kicks in, some kids can get quite greedy. Mom will even have to gently kick them off her udder to make sure they don't overdose. When they drink a bit too much, they shiver as the liquid moves through their system. They look a lot like people who get brain freeze from eating ice cream too fast! Believe it or not, all of what I just described usually happens within about 15-45 minutes after birth. I've even had some kids walk and nurse within 5 minutes of sliding face first into the world from the birth canal. 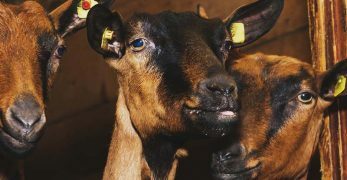 Generally though, especially when goats have 3-4 babies in one go, it tends to take closer to half an hour for all of them to get their first taste of that thick, yellow, life-saving colostrum. Like goat labor, every so often things do go wrong. Maybe, a kid is born with a soft pallet and has trouble suckling. Labor complications can cause partial suffocation, and that leads to stunting of instincts like the urgency to nurse. Perhaps a kid is just a bit runty and wasn't quite ready to come out when the other kids were. Regardless of the reason, there are unfortunately times when kids simply can't nurse on their own. When that happens, it's up to us goat keepers to step in. We need to make sure those newborn kids get the colostrum they need to progress to the next stage of development. Colostrum isn't just milk. 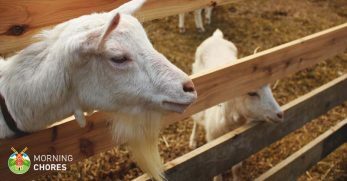 It's a particular kind of milk that acts as a digestive tract developer, concentrated nutrition delivery system, and immune system activator for baby goats. 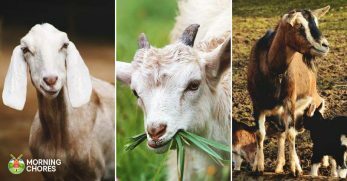 From a scientific perspective, goats probably have about a 6-hour window to receive a dose of colostrum to avoid serious developmental delays. 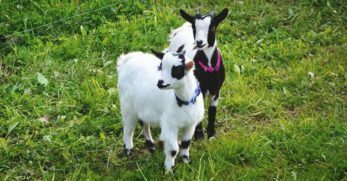 From a practical perspective, though, most of us homesteaders consider the colostrum window for baby goats to be about 1-2 hours. 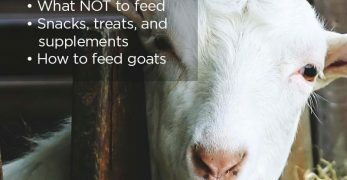 That's because our goats are usually having babies in spaces that are inhabited by other goats. That means there are a whole bunch of goat germs floating around that can attack our defenseless baby goats in confinement. 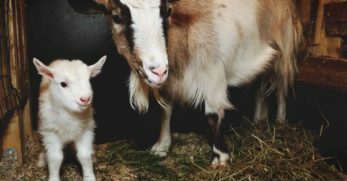 Without a very early dose of colostrum, kids are at greater risk for contracting illnesses that older goats are resistant to. Also, frankly, most of us homesteaders don't have six hours to wait around and watch to make sure our babies have figured it out and gotten sufficient colostrum. 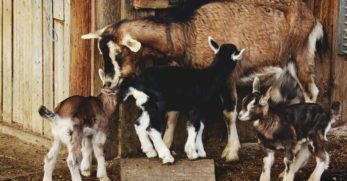 Finally, goats tend to have multiple babies. So, early developers can even start to deplete the colostrum supply during that 6 hour period and make it harder for late bloomers to catch up. As a general rule, it's more practical to consider the colostrum window as being within 1-2 hours of birth. In that time frame, we need to make sure each kid born gets sufficient colostrum for a strong start. 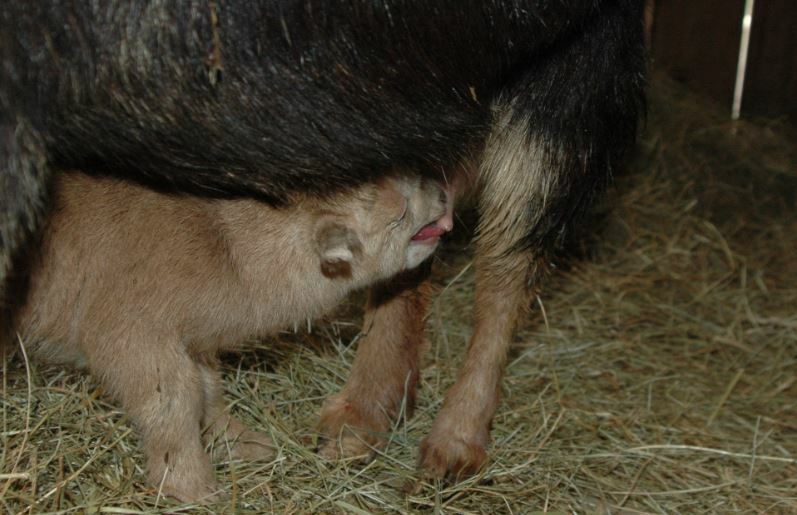 Beyond that initial dose of colostrum, goats need to continue to receive colostrum for the first 24 hours. During this time their bodies are adjusting to life outside the womb. 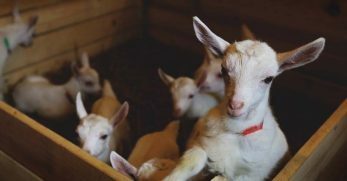 Although it's important to be careful not to overfeed baby goats, aiming for maximum colostrum within this 24-hour period, will help ensure a strong start to life. 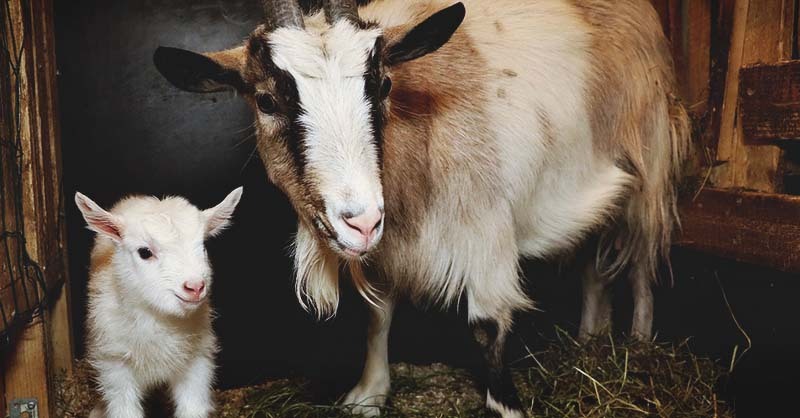 Goats only produce colostrum in a short period leading up to and right after labor. The colostrum present at the time of birth is the most concentrated supply available. Appearance wise, it's yellowish and visibly thicker than milk. As goats start producing milk after labor, the colostrum in the udder is diluted by the milk. Within about 2-3 days of kidding, any residues of colostrum are washed out by the milk. Even though residues of colostrum may be present in milk for a couple of days, the bulk is produced for the babies in the first 24 hours. During that initial 24 hours, kids' bodies are most primed to receive and absorb the benefits of colostrum. In particular, the colostrum provides a form of vaccination against illness in newborn kids. It supplies the antibodies necessary to fight infection so kids can be safely exposed to germs and begin to develop their own immune systems. The colostrum provides the kids with concentrated nutrition in a form that can be absorbed before the digestive process fully develops. Plus, colostrum activates the digestive system to prepare kids to be able to extract nutrients from milk. When kids are first born, feeding them milk would be about the equivalent of giving them water. That's because, without a working digestive system, nutrients can't be extracted from milk. That's why milk usually isn't given until at least 24 hours after birth. Colostrum also acts as a stool softener that allows kids to have their first poop. That first, soft poop clears the way for kids to start their regular cycles of bowel movements. If not enough colostrum is consumed within the first 24 hours of life, then all these other processes can fail to launch. As a result, kids can quickly become sickly, have digestive problems, and be short on nutrients even when fed milk. How Much Colostrum is Enough? Figuring out the exact amount of colostrum to give to kids can be pretty hard to pin down. Two main rules of thumb circulate around the goat community. The first is that kids need about 20% of their body weight within the first 24 hours. The second is that kids need 1 ounce per pound of body weight. Well, since a pound is 16 ounces, that means that 1 ounce is only 6% of body weight. Personally, I wasn't comfortable using rules of thumb that range from 6-20% depending on who you ask. So, I took a slightly different approach to my calculations. 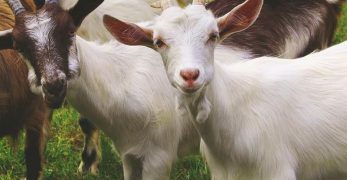 I used the amount of colostrum present in my goat's udder at birth and divided that by the number of kids. 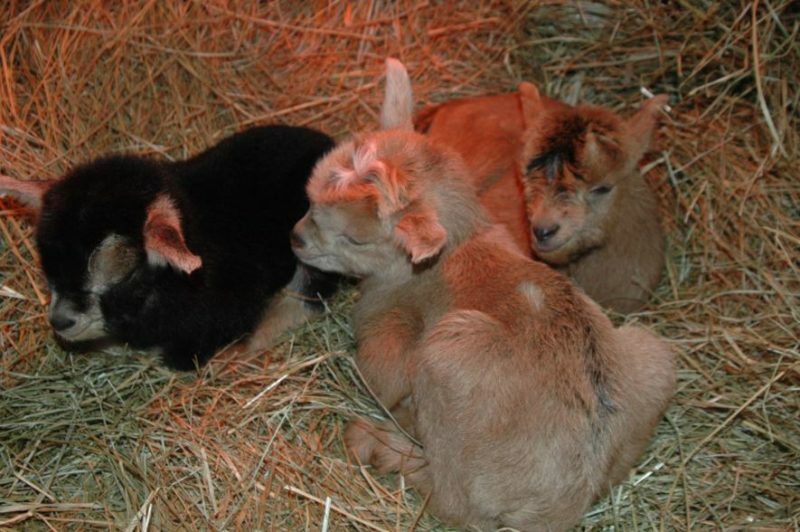 I discovered that on average, my goats produce about 15-25% of their babies' birth weight in colostrum before birth. Because does will produce more colostrum and milk as kids begin to nurse, I try to get the amount of colostrum available at birth into the kids within the first 12 hours of life. Generally though, as long as you have a good portion in them within the first 1-6 hours when it is most critical, then you can spread the rest over 24 hours if necessary. 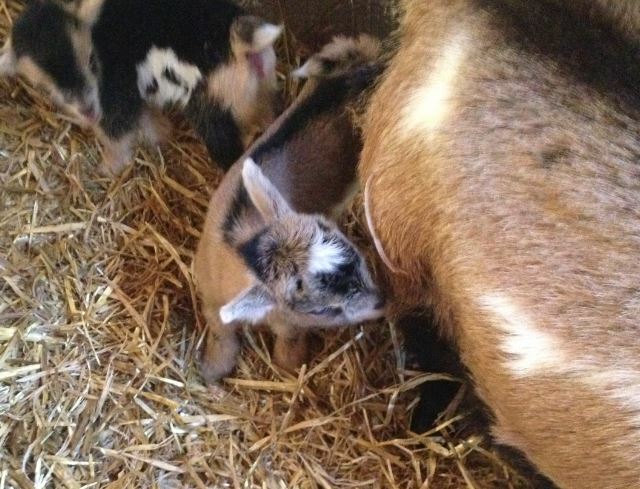 If you plan to bottle feed the kids colostrum, you will milk your goat right after labor. Then, you can weigh your colostrum so you know exactly how much colostrum you have to share among her kids. After that, it's just a matter of doing a little math to figure out how much to feed each kid. 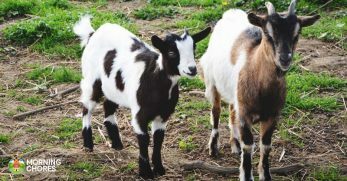 If one of my Nigerian Dwarf does has 32 ounces of colostrum at time of birth, and 3 kids, that makes for about 10.66 ounces per kid (e.g., 32 ounces / 3 kids = 10.66 ounces per kid). If the kids weigh 4 pounds each, then that works out to almost 17% of their body weight in a 12-24 hour period (e.g., 4 pounds x 16 ounces = 64 ounces, 10.66 ounces colostrum per kid divided by 64 ounces of body weight = 16.65%). If there are big size differences between the kids, such as a large buckling and a runty doeling, I'll use actual body weights to parcel out colostrum. So, if one kid is 3 pounds, one kid is 3.5 pounds, and one is 4 pounds, then I add those up (e.g., 3 + 3.5 + 4 = 10.5 pounds). Then, divide the 32 ounces of colostrum collected by those 10.5 pounds. That comes out to a per pound share of about 3 ounces. Finally, multiply that per pound share by the weight of your kid (e.g., 3 pounds x 3 ounces = 9 ounces, 3.5 pounds x 3 ounces = 10.5 ounces, 4 pounds x 3 ounces = 12 ounces). Now that you have a sense of how much colostrum to get into each of your kids, the next thing you need to know is how to ration it over a 24-hour period. I aim to get at least 10% of their share of colostrum into all of my kids in the first 2 hours of life. So, if I am giving each kid 11 ounces, I'll get at least 1.1 ounces in them within 2 hours of birth. After that, I try to get the colostrum into the kids as quickly as they can take it. Before feeding, I feel my kids bellies to make sure they are soft and not already full. Then, I stop feeding whenever their bellies start to firm up. I don't like to let their tummies get to rock hard, just firmly full. For newborns, I tend to feed once an hour for the first few hours. After about 4 hours, I drop down to once every 2 hours. Generally, it only takes me about 12 hours of feeding kids to get all that colostrum in the kids. Weaker kids though may take longer. If a kid simply isn't able to nurse on a bottle, then you will need to tube feed. Sometimes you get a super producer. For example, I have one doe who makes way more colostrum than her kids can drink in 24 hours. In that case, I usually feed the kids as much colostrum as they can safely drink without overstuffing their tummies. As long as that amount is between 15-25% of each kids' bodyweight, preferably tending toward the high side of that range, then I freeze the rest. If you do lose a kid from labor complications, then definitely take that share of milk and freeze it in case you need it with future births. Colostrum can be stored in the freezer for at least one year and maybe longer. I usually put it in a resealable plastic bag, push out extra air and then freeze it flat. 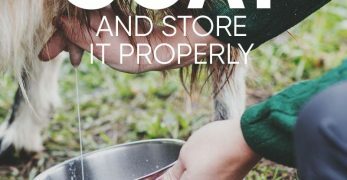 When you take the colostrum from your doe, you'll need to store it and warm it for each feeding. I keep mine in a mason jar in the fridge. A goat's normal body temperature is between 101.5° and 103.5° F. So, I usually warm the colostrum to about 105° F. By the time I reach the barn with the bottle, it's down to body temperature. Some goat keepers pasteurize the colostrum before storing in the fridge. I don't do this. But if you are concerned about pathogens or believe your does may be carrying transmissible diseases (e.g., CAE), it's important to do. In general, using colostrum direct from your doe is best. Sometimes though if a doe is sickly during labor or can't be milked, you may have to consider alternatives. Frozen colostrum is my first go-to replacement for fresh colostrum. However, I also keep a supply of powdered colostrum replacer on hand for emergencies. When using powdered colostrum replacer, follow the instructions on the label regarding quantities to feed. For dam-raised kids, it's a bit trickier to ensure adequate colostrum intake since the kids nurse from the doe. So, instead, I monitor their feeding habits and feel their bellies after they've nursed, to make sure they are filling up each time they nurse. If I am not sure that each kid is getting enough colostrum, I weigh them before they nurse. Then I watch until I see them nurse. After that, I weigh them again. I'll repeat this a few times to get a sense of how much colostrum the kids ingest at each nursing and also see how often they nurse. If I am not totally convinced a kid is nursing enough within the first 2 hours after birth, then I milk my doe and bottle feed colostrum to the kids. I'll still let the kids nurse on the mom too so they get the hang of it. But, I'll also parcel out the colostrum and make sure that gets in them within the first 12-24 hours. 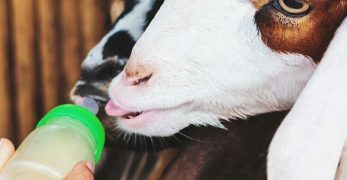 Colostrum is so important that even though it's extra work to bottle feed kids, sometimes it's simply less stressful to bottle feed it to kids and ensure their continued development. 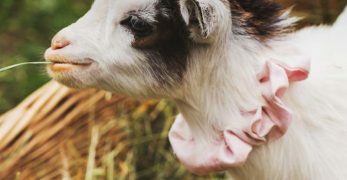 Since I have been through a lot of kiddings, and am now experienced enough to spot when a kid isn't nursing well, I use a hybrid approach to making sure kids get enough colostrum. I start by weighing the kids. Then, I milk my doe and get enough colostrum for 5% of their weight. I feed half of that in hour one. Then I feed the other half two hours later. After that, as long as I can tell the kids are connecting when nursing and that their bellies are filling each time, I don't worry about exact quantities. Again, if I ever have doubts that a kid isn't nursing enough, I switch to bottle feeding. It's much easier to bottle feed a slow-starting kid than it is to save a kid who didn't get enough colostrum in the first few hours of life. “Knowing is half the battle.” Oddly, I learned that watching GI Joe cartoons as a child. But it's proven true more times than I can count. 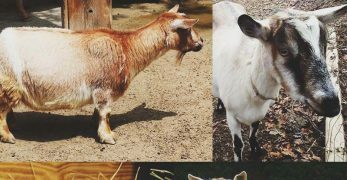 When it comes to raising goats, it's not exactly a battle. But it can be challenging to know what to do if you're not informed at the outset. 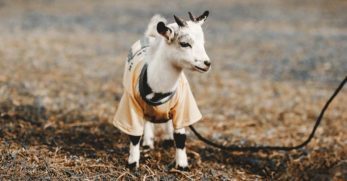 Hopefully, now you are a bit more prepared to go into kidding season well-armed with some strategies that work for ensuring that kids get a strong start with sufficient colostrum. Make sure to take notes and keep track of what works for you to use in future kiddings as well.